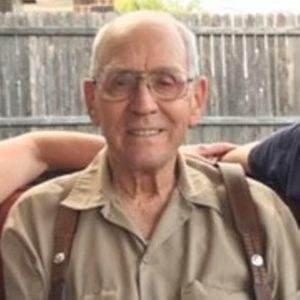 Donald E. Drees, 85, of Fort Worth, TX (formerly of Montgomery, IL) passed away on Sunday, March 31, 2019 at The Carlyle at Stonebridge Park in Southlake, TX. He was born on August 3, 1933 to the late William and Margurite (Twist) Drees. Donald enjoyed spending time with his family and camping. Donald is survived by his son, Paul (Rae Ellen) Drees of Mendota, his daughter, Karen (Rob) Cartee, of Fort Worth, TX as well as three grandsons, one granddaughter, seven great granddaughters, four great grandsons and two great great grandsons. In addition to his parents, Donald was preceded in death by his wife, Beverly in 2013, his brother and sister, his granddaughter, Brandy, and several other relatives. Visitation for family and friends will take place on Thursday, April 4, 2019 from 3 PM - 7 PM at The Healy Chapel, 332 W. Downer Pl., Aurora, IL 60506. Private family graveside service will take place at Lincoln Memorial Park. In lieu of flowers, memorial donations may be made to a charity of your choice. Add your thoughts, prayers or a condolence to Donald 's guestbook.